New research from the University of Birmingham has shown that physiotherapy and occupational therapy do not produce improvements in quality of life for patients with mild to moderate Parkinson's disease. The findings of the PD REHAB trial, published in JAMA Neurology, show that combined physiotherapy and occupational therapy do not have a positive impact on 'activities of daily living', such as putting on clothes or brushing teeth, in the immediate to medium term. Parkinson's disease is a degenerative disorder of the central nervous system, affecting approximately seven million people across the globe and 4% of those aged over 80. Professor Carl Clarke, from the University of Birmingham said, "This shows that there is an urgent requirement to review current guidelines for patients with Parkinson's disease. 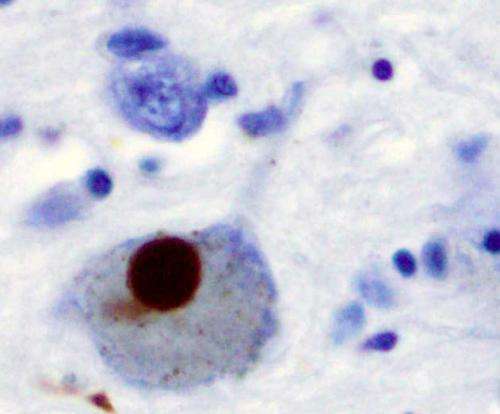 The resource that is committed towards these therapies, that do not appear to be effective, could be better used in patients with more severe problems with their Parkinson's disease." "That said, it is likely that increasing physical activity is beneficial for patients with earlier Parkinson's, whether that be through dance classes or by using some of the emerging, interactive technologies that are being tested. The big challenge is to embed that behaviour long term, and to encourage more exercise over a long period of time." 762 patients with mild to moderate Parkinson's disease were recruited from 37 centres across the UK, making it the largest clinical trial of rehabilitation in Parkinson's disease, and follow ups were measured for 15 months. This study was a randomised controlled trial, which is one of the best ways for determining whether a treatment actually has the desired effect. Professor Clarke, who also holds a position at Sandwell and West Birmingham Hospitals NHS Trust, added, "It is difficult to advocate the removal of something from guidelines when it was assumed to be beneficial. Though these therapies can provide marginal improvements to motor function, perhaps an extra centimetre in your stride, they don't lead to benefits in the quality of day to day life." The team, who have previously published large scale trials on the efficacy of medical (PD MED trial) and surgical (PD SURG trial) therapies for Parkinson's disease, are now looking to investigate the speech and language therapies available (PD COMM trial).